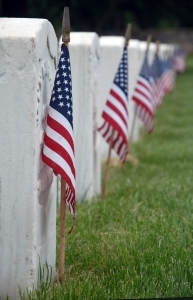 Memorial Day is the unofficial kickoff to summer and is a time to celebrate freedom and honor veterans. Unfortunately, it is also a time when parties can get out of control and people can be in danger as a result of drunk driving. If you are having a party this weekend or have friends who are heading out to celebrate, it is important to make smart choices when it comes to drinking and driving. Our Boston drunk driving accident lawyers also urge all drivers on the road to exercise caution over Memorial Day weekend since the number of drunk driving accidents goes up considerably during this holiday celebration. According to Mothers Against Drunk Driving, there were more than 470 people killed in car accidents in 2009 over Memorial Day weekend. Many of these accidents occurred as a result of people driving after they had too much to drink. Far too many people get caught up in the celebration of summer, enjoying a couple of drinks at barbecues, pool parties, picnics and other Memorial Day special events. Unfortunately, when driving home from these Memorial Day celebrations, intoxicated drivers endanger themselves and endanger other people who may happen to be on the road at the same time. Party hosts should serve alcohol early in the day if they plan to make alcohol available and should considering switching to coffee, tea and other non-alcoholic beverage options a few hours before people plan to leave. This will allow people to enjoy alcoholic drinks but not to drink too much or too close to the time when they need to drive home. Party hosts should be sure to make plenty of non-alcoholic drinks available to designated drivers who attend gatherings. Party hosts should not let anyone leave their home in a car if that person is too intoxicated to drive. Call a cab, drive the guest home yourself or even invite them to stay over before letting someone get into a car drunk. Anyone out celebrating should be sure to have a designated driver with them. Do not make the mistake of assuming you can have just a drink, stop and be able to drive home if you know that you have not been able to do this in the past. Instead, plan ahead so you can have a good time without worrying about how you’ll get back home. Others who are out on the roads also need to be aware that there are more drunk drivers during the holiday weekend than at other times. Refrain from doing a lot of unnecessary driving, especially late in the evening when parties are letting out, and be on the lookout for intoxicated drivers. If you see something wrong or suspect another driver is intoxicated, considering calling the police to let them know. By helping to get drunk drivers off the road, you could save a life over Memorial Day.